WHEN DOES NITROGEN NARCOSIS TAKE EFFECT DURING THE DIVE? 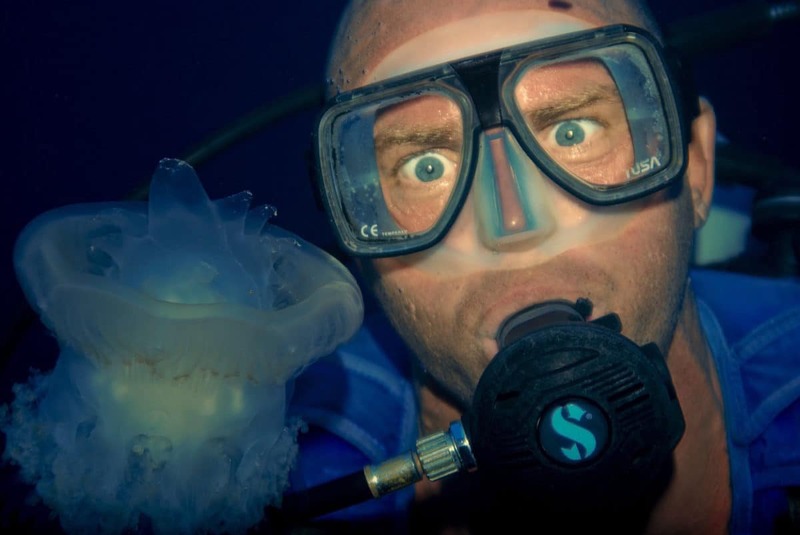 WHAT CAN YOU DO TO PREVENT NITROGEN NARCOSIS? WHAT DOES “GETTING NARKED” FEEL LIKE AND DOES IT GET WORSE WITH TIME? DO SIGNS AND SYMPTOMS OF NITROGEN NARCOSIS CHANGE AT DIFFERENT DEPTHS? WHAT STEPS SHOULD YOU TAKE IF YOU EXPERIENCE NITROGEN NARCOSIS? HOW CAN YOU BE PREPARED TO SAFELY GO ON DEEP DIVES? DIVE SAFELY AND HAVE FUN! Are you excited for your first epic deep dive? Perhaps you’re off to explore a wreck or check out a school of hammerhead sharks. Whatever you’re up to, be aware that deep diving has extra precautions. One of which is knowing the nitrogen narcosis symptoms and how to prevent them. Think back to your open water scuba diving course. You studied the chapter on nitrogen narcosis and even answered some exam questions about it. But if asked to explain what it is to a fellow diver, would you be able to? If your answer is no or you have a vague idea but aren’t exactly sure, keep reading. Having a clear understanding of what nitrogen narcosis is is an important thing divers can do for their own safety. Nitrogen narcosis is an alteration in consciousness that occurs while diving a depth. Nitrogen Narcosis is caused by dissolved gas in the body. Breathing nitrogen at a high partial pressure seems to be the main contributor. Partial pressures of the gases we breathe increase with depth, so remember that as you descend deeper and deeper on a dive, the partial pressure of the nitrogen you are breathing is increasing more and more. Though nitrogen narcosis is an ever-present factor for scuba divers, it is most common for divers to begin to feel some effects beginning around 100 feet/30 meters. This is why it tends to be a larger consideration in planning for deeper dives, or dives past 66 feet/20 meters. Divers do seem to have varying susceptibility to nitrogen narcosis, however, and it can be experienced at shallower depths, so it is always important to pay attention to your actions underwater, as well as your buddy’s. Don't forget important gear at home! 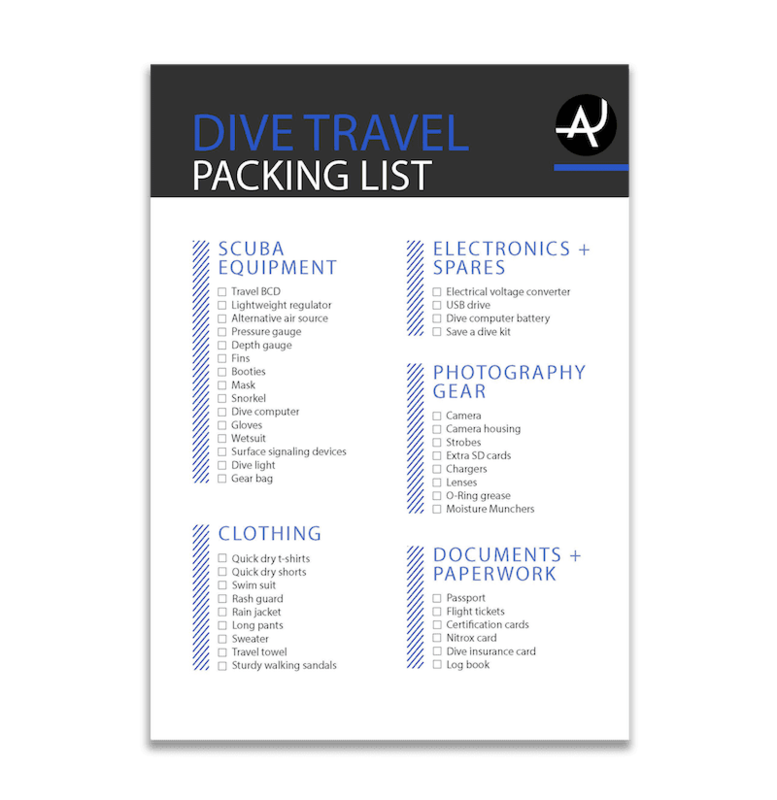 Print out this free dive gear packing list to prepare for your next adventure. Plus, you'll get exclusive content in our newsletter to help you make the most of your time underwater! 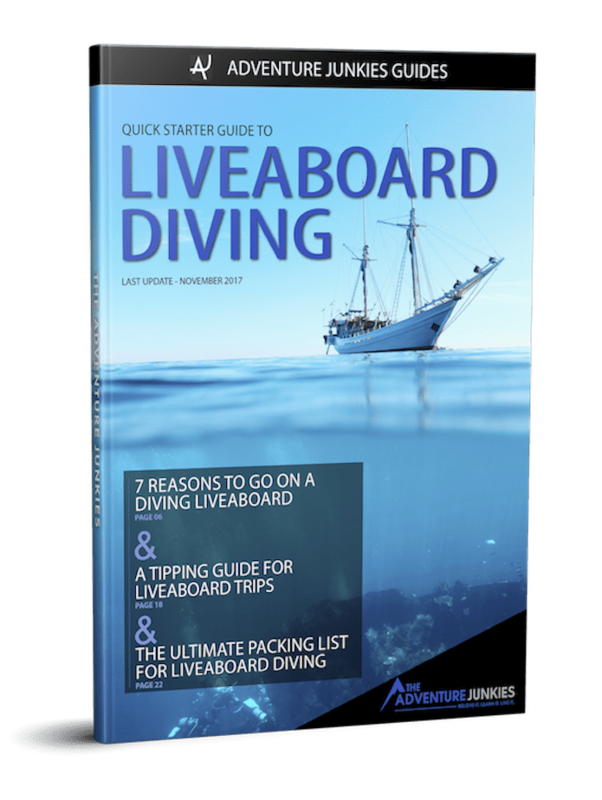 * You will get weekly emails with practical diving advice that complement the information contained in the packing list. You can always opt out of these emails. It’s impossible to tell you how to prevent nitrogen narcosis completely without simply advising you to stay at the surface of the water. However, cases of noticeable nitrogen narcosis are extremely rare on shallow dives or dives less than 60 feet/20 meters. Remembering that partial pressure is directly proportional to depth, staying shallow is your best strategy on how to easily prevent feeling the effects of nitrogen narcosis. Luckily, the effects of nitrogen narcosis do not get worse after about two minutes at a given depth. Narcosis can be safely handled underwater and having it does not necessarily mean that your dive needs to end. As you spend more time with divers, you’ll hear nitrogen narcosis described in many ways. Jacques Cousteau, nicknamed “the Father of Scuba Diving,” called nitrogen narcosis “the rapture of the deep” describing its deeply euphoric effects. I’ve often heard it called “the martini effect” or “Martini’s Law” because it is like drinking one martini on an empty stomach for every 50 feet/15 meters you descend. The experience of nitrogen narcosis can also increase anxiety, sometimes making divers feel uneasy about the situation, unable to feel comfortable underwater and making them feel they need to end the dive immediately. Yes, as depth increases, so does the pressure, which causes the severity of the narcosis to also increase. Here you can compare some common signs of nitrogen narcosis that occur at different depth ranges while breathing air. The effects of nitrogen narcosis are not life threatening if caught early on and managed. The real danger of this altered state of mind comes from poor decision making. Like we said earlier, the symptoms are close to those of being drunk. You may loose coordination, your ability to focus or short-term memory. Some divers feel sleepy. None of these effects are safe for being over 100 feet under the sea. The good news is nitrogen narcosis is easily reversible. If you experience “the rapture of the deep” or notice it in your buddy follow these steps to make sure you stay safe while scuba diving. STEP 1: Let your buddy know. What’s the hand signal for I’m narked? It’s the same as the crazy sign. Move your index finger in circles at the side of your head. STEP 2: Slowly ascend to a shallower depth with your buddy. STEP 3: Stay at your new depth and wait for the effects to subside. Stay calm, it’s very normal. Often, divers feeling nitrogen narcosis symptoms find their heads clear if they ascend as little as 10 feet/3 meters. Patience and communication with your buddy will be key at this stage. It’s very important to feel ready for the dive adventure you are about to begin. 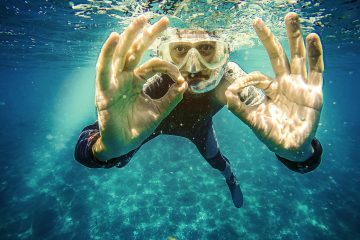 In fact, feeling nervous could actually increase your likelihood of feeling nitrogen narcosis symptoms. Therefore, if diving deeper than usual is making you uneasy, start very slowly with a dive professional or very experienced dive buddy. Consider going only 10 feet/3 meters deeper than your deepest dive to date. Keep changes in your diving habits to small increments until you feel absolutely ready for your deep water dives. Want to gain more experience in deep diving? Take the advanced open water course or the deep diving specialty course. Nitrogen Narcosis affects your ability to think. Along with additional training be sure to sharpen your basic diving skills like buoyancy control as well as emergency diving skills. 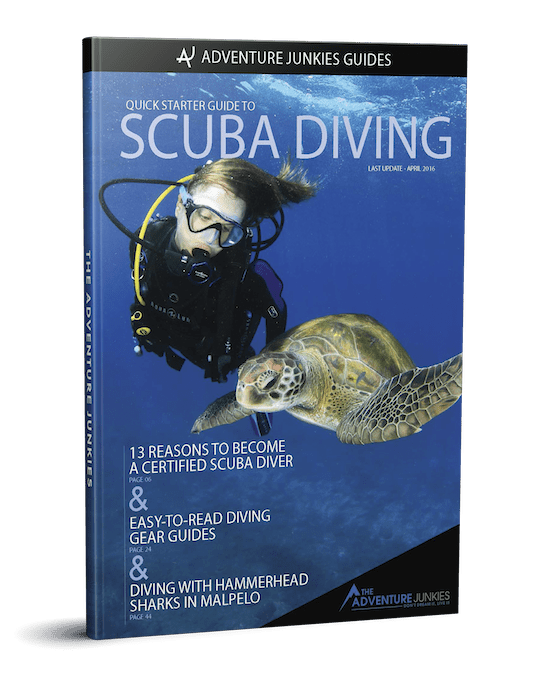 Diving courses which require practicing skills often and over a long period of time can help you develop into a safe and reliable diver and dive buddy. Take your time descending. 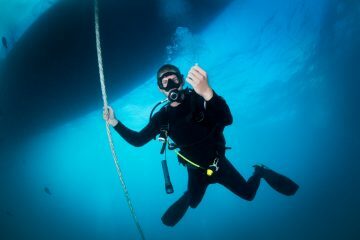 Divers who descend slowly seem to have a lower risk of noticeable symptoms from nitrogen narcosis. Rushing to the dive site may not produce the ultimate dive experience. Descend at a slow rate, following a descent line if possible. We know that you should never drink alcohol directly before a dive. But did you know that taking drugs or alcohol up to 24 hours before a dive could still depress the central nervous system? The anesthetic properties of nitrogen and other gases at high partial pressures combined with depressants such as alcohol can amplify narcosis. Drugs that stimulate the central nervous system can also alter a diver’s mental processes and augment narcosis. Some allergy and cold medicines with antihistamines can possibly alter your brain chemistry enough to increase your susceptibility to nitrogen narcosis. Always consult your doctor about these and other drugs before going diving. The first step to safe diving is to create a dive plan. Sit down with your dive buddy and make a plan. 1. Discuss what’s your max depth going to be? And, how long are you planning to dive? Deep diving requires special considerations. One of the most important ones is your air consumption rate will increase and no-decompression dive time will decrease. 2. Schedule times to check in. Be responsible for checking your own air every five minutes. Also, check your no-decompression limits on your dive computer during that time. Check in with your buddy as well and ask them how much air they have. Not only will this help you stay close in proximity and depth to your buddy, but it will help you see if your buddy seems to be showing signs of nitrogen narcosis. 3. Write down your dive plan on a slate. Remember to include a map, your agreed upon minimum tank reserve pressure to start ascending, maximum dive time and maximum planned depth. Many serious and avoidable errors have been made due to nitrogen narcosis by simply losing track of time and overstaying a deep dive. Make a plan and stick to it! Preparedness, practice and planning are the key elements to successfully minimizing nitrogen narcosis symptoms. Deep dives can help you explore a fun and exciting world filled with shipwrecks, sunken planes, caverns and more. Done with the proper planning and buddy, these dives can be done safely and may quickly become some of your favorites! Christine has traveled internationally as a writer, PADI Scuba Diving Instructor, Certified International Tour Director and Adventure Guide for the past ten years. 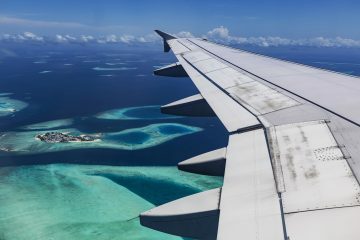 Last year, Christine co-founded Fins to Spurs, a project and website dedicated to sharing adventure work and travel opportunities worldwide. Her passion for travel and wildlife has taken her to work in over 30 countries, spending significant amounts of time in Turkey, Thailand and Central America. 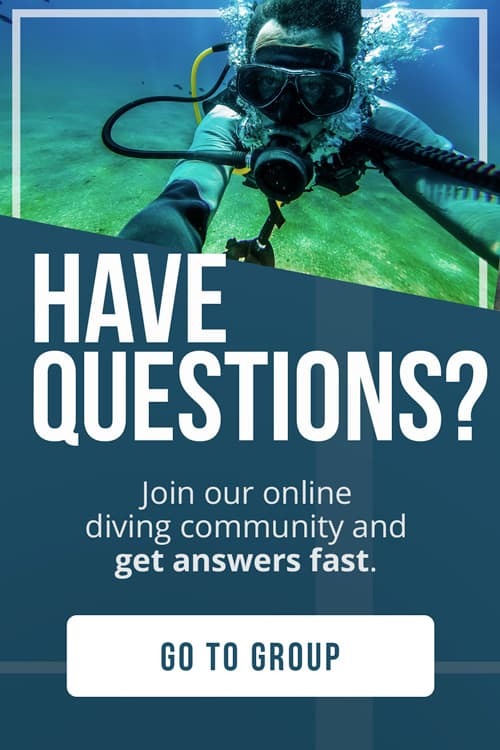 What Should Divers Do for Their Own Safety?